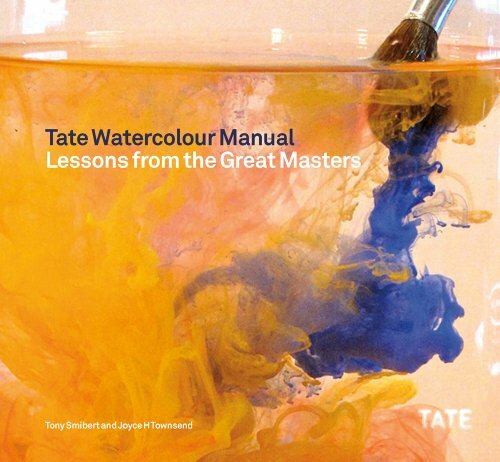 The Tate Watercolour Manual is a watercolour instructional book quite unlike other in the sense that there's a lot of intellectual text going on. It's very academic style. I've several watercolour books and I really prefer the liveliness of the artists and authors in those. The step-by-step tutorials are good with nice pictures and clear instructions. They are actually a series of tutorials designed to highlight specific techniques from greater watercolour masters in Europe, such as Claude Lorrain, Thomas Girtin, William Turner and others. However, the techniques are often taught in isolation, meaning you may be taught how to create simple landscape, trees and clouds, but there's nothing about putting a piece of work together. Composition is a vague concept mentioned occasionally. Information on colour mixing is also almost non-existent, and the colours used for the tutorials consist just black, sepia demonstrations and the extremely toned down colour schemes of the example master paintings. The subjects shown throughout are of landscapes with the exception of Turner's 1805 piece The Shipwreck. I don't feel that many of the pieces are very striking, or convey the message of watercolour as a vibrant and colourful medium. So for beginners, it's not that inspiring even though the tutorials are easy to follow along. For beginners, I recommend getting more comprehensive books with complete lessons, such as The Watercolor Book by David Dewey, Watercolour for the Absolute Beginner, You Can Paint Vibrant Watercolors in Twelve Easy Lessons, The Complete Watercolour Course. And then you can move on to books that talk more about artistic expression. For advanced artists, I suggest getting books dedicated to specific master artists instead.